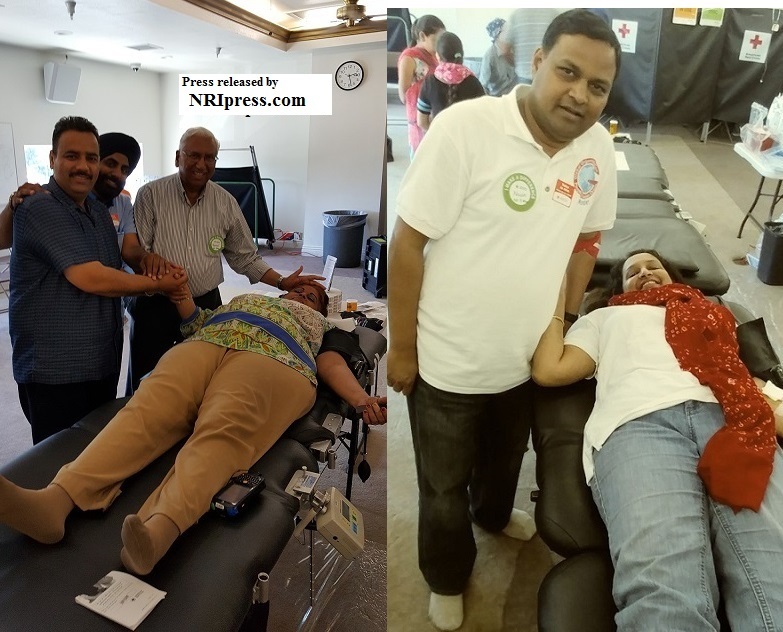 A blood donation camp was organised by three local Associatons- Rajput Association of America, Apna Punjabi Group and Gopia-LA at Gurdwara Singh Sabha, Buena Park on Sunday, June 18, 2017 from 9:00 am to 3:00 pm. The blood donation camp was a huge success as it exceeded the expectations of the organizers. Red Cross expected to draw approximately 25 vials during the allotted time frame. There were 62 registrants and many more walk-ins to give blood. Many donors have to be turned away as Red Cross did not have resources to draw blood from all of them due to time constraints as well as other mandatory restrictions of travel to certain parts of the world or other limitations. One could see great enthusiasm in donors as they waited for long stretch of time to donate blood. Many faced disappointments as they were turned away because they had arrived from India less than three years ago or have been to India within last 12 months or they have previously donated blood less than 56 days ago. Even with all these restrictions 32 vials of blood were drawn that exceeded the minimum required by the Red Cross. Members of Red Cross team expressed their complete satisfaction with the outcome and were thankful to Gurdwara Singh Sabha management and the volunteers who helped them organize and assisted them in set up the camp. 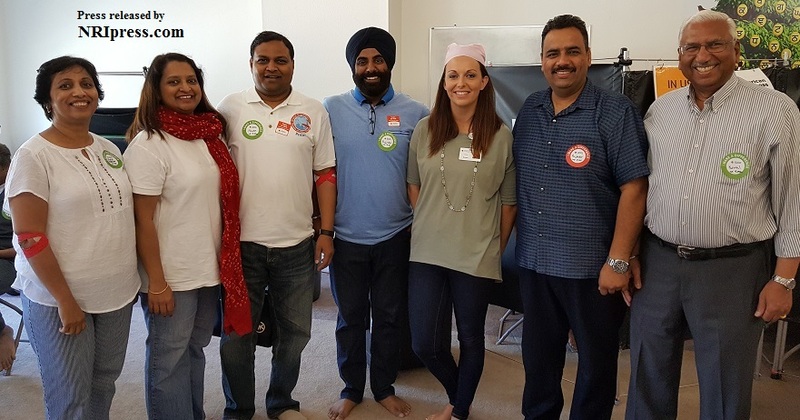 GOPIO-LA members Kewal Kanda, Rajinder Dhunna, and Baljinder Tahim stayed with the Red Cross team throughout the day from 7:30 am to almost 4:00 pm to assist the Red Cross team and made sure the whole process of blood donations moved smoothly. Other GOPIO-LA members who also volunteered were Navin Gupta and Rani Kuusto. Red Cross Team-lead Ashley Brown expressing her satisfaction and gratification offered to hold future Blood Drives anytime we ask for provided the dates are mutually agreed upon. All donors as well as Red Cross team were offered free food, tea, and snacks by the Gurdwara management. GOPIO-LA thanks Gurdwara Singh Sabha management for providing the facilities for Blood Drive.